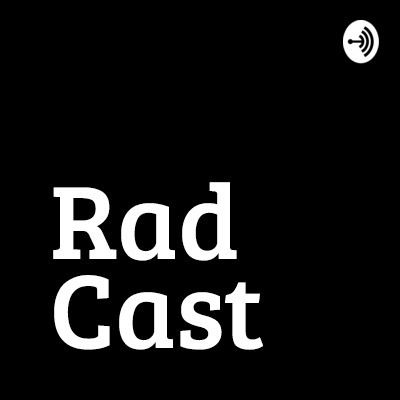 Make sure you follow us on instagram @Rad.Cast and find us on twitter @Radcastpodcast for the latest updates. In this episode of RadCast we sit down for a post-ECR reunion with Philip Ward, a journalist who has been reporting on Radiology for 30 years and who is the current Editor-In-Chief of Aunt Minnie Europe, the largest Radiology community website in the world. He recounts some of the major events he's covered, from the controversies surrounding the award for the Nobel Prize for Clinical MRI in 2003 to the humanitarian efforts of Radiologists during the Kosovo War. He also tells us about the many fascinating characters that he's met in Radiology that have kept him hooked for all these years and he proves once again that in Radiology there truly is a niche for everyone from sports to torture imaging! Here is the second of our interviews recorded at ECR 2019, this time with Dr Hugh Harvey who is a qualified Radiologist and prominent figure in the world of medical AI and who serves as Clinical Director for the breast imaging AI start-up Kheiron Medical. We spoke about the new AIX event that he was chairing at the conference; how the AI landscape had changed in the 6 months since we last spoke at RCR in September and how Brexit might affect collaboration with European partners. In the first of our ECR 2019 specials we bring you our interview with Dr Hedvig Hricak who is Chair of Radiology at the world renowned Memorial Sloane-Kettering Cancer Centre (MSKCC) in New York, former RSNA President and ECR Gold medal winner and who was chairing ECR’s inaugural Women In Focus event this year. We discussed how the event came about, the current situation for women in radiology and some of the cutting edge medicine she oversees at MSKCC. In this month’s episode of RadCast we speak to Dr Caren Landes who is a Consultant Paediatric Radiologist and Clinical Lead at the world renowned Alder Hey Children’s Hospital. We discuss what makes Paediatric Radiology so special; her experience of high profile ethical cases in the media and the vital role of the Paediatric Radiologist in identifying non-accidental injury. She also tells us what she had to say to the producers of BBC2’s ‘Hospital’ about making sure they featured Radiology on the show. In RadCast episode 7 we speak to Dr Christopher Clarke who is a Consultant GI Radiologist at Nottingham University Hospitals and founder of one of the most popular educational resources amongst Radiology trainees, Radiologycafe.com. We get a fascinating insight into the story behind the website and his vision for the future. We also have a discuss the topic of Radiology and social media. In RadCast episode 6 we bring you part 2 of our interview with former BSIR President and clinical entrepreneur Professor Peter Gaines. In this part we discuss innovation in Radiology and and whats on the horizon for IR. In RadCast episode 5 we speak to Professor Peter Gaines, who is an interventional radiologist, former BSIR president, 2013 BSIR Gold Medal winner and Radiology innovator. In the first of our two part interview we discuss his work in establishing the pioneering Sheffield Vascular Institute and collaboration between vascular surgeons and interventional radiologists. In this episode, we break from our traditional format of guest interviews to recap an eventful first 3 months of RadCast. We also review the new RCR Kaizen e-portfolio, discuss the presence of Radiology in the media and look at what to expect from RadCast over the next few months. In part 2 of our RCR18 special edition, we talk to Dr Hugh Harvey, Clinical Director at the AI start-up, Kheiron Medical. He is a qualified Radiologist with a wealth of experience in clinical AI in both research and industry and he is a member on the RCR Radiology Informatics Committee. We ask him about the opportunities and challenges in AI and the barriers to widespread adoption. We also get his answer to the all important question...Will AI replace Radiologists? In this special edition of RadCast we have an interview with the RCR President Dr Nicola Strickland who took time out during the conference to speak to us about what it's like to be president, the workforce crisis and the image of radiology. In episode 3 of RadCast we speak to Brian Devlin, Deputy Superintendent CT Radiographer at the Royal Liverpool Hospital to get a different perspective on some of the issues surrounding Radiology. He gives us his take on extended Radiographer roles, radiographer workforce pressures and the future of scanning technology. In episode 2 of RadCast we speak to Dr Sumita Chawla, Consultant Radiologist at Aintree University Hospital, Liverpool and Training Programme Director for the Mersey School of Radiology. We pick her brains about workforce planning issues, academy style Radiology training, Radiology outreach work abroad & gender equality within managerial positions in the NHS. In the first episode of RadCast we speak to Dr John Curtis who is a Consultant Radiologist with an interest in chest radiology at Aintree University Hospital, Liverpool and the Associate Head of School of Radiology for the Mersey Deanery. We discuss how Radiology has changed over the last 20 years, the profile of the specialty and Trauma Radiology.